Growing up poor in London, Becky Sharp (Witherspoon) defies her poverty-stricken background and ascends the social ladder alongside her best friend, Amelia. Following periods of success and rejection, a triumphant Becky comes to the Raj, doing the sights in a howdah alongside her benefactor, the Anglo-Indian trader Joseph Sedley, at whom she'd set her cap as a young woman. 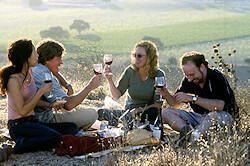 Two men reaching middle age with not much to show but disappointment, embark on a week long road trip through California's wine country, just as one is about to take a trip down the aisle. This is a glorious, bittersweet comedy of male friendship and midlife crisis. This delightful, meditative film is both serene and gripping, and carries a potent and mysterious charge in its visual poetry. 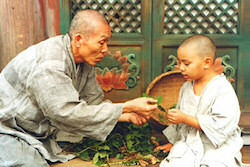 This is a film which has a real spiritual dimension; it bears that dimension lightly and persuasively transmits a Buddhist conviction that time, age and youth are an illusion. A look at the life of Alfred Kinsey (Neeson), a pioneer in the area of human sexuality research, whose 1948 publication "Sexual Behavior in the Human Male" was one of the first recorded works that saw science address sexual behavior. 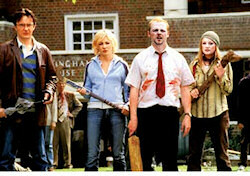 Edgar Wright's horror-comedy film follows the title character (Simon Pegg) through his mundane life in London. Joined by his immature and ever-present roommate, Ed (Nick Frost), Shaun excels at nothing except drinking pints of ale and watching television, which causes friction with his girlfriend, Liz (Kate Ashfield). Before Shaun can save his relationship, however, he's got to fend off a horde of zombies that are slowly taking over the city. Shaun must rescue his friends and loved ones, and bring them to the only safe place he can think of - the pub. 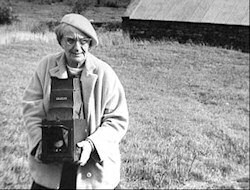 In 1954, world-renowned photographer Dorothea Lange traveled to County Clare, Ireland on assignment for Life magazine.In her directorial debut, Irish American cinematographer Dierdre Lynch retraces Lange's footsteps, traveling the country roads to visit many of the same people who Lange met nearly a half century ago. There are two movies here: one is Ray Charles on stage, the other is Ray Charles in the rest of his life. Ray recreated some of his earlier music, and remastered other material. You watch Ray's development from a Nat King Cole wannabe into a man who broke all the barriers in the music industry. 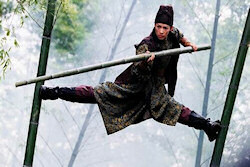 Leo is a police captain in AD 859, the era of China's failing Tang dynasty. With his fellow officer Jin he is forced to battle a secret society, the Flying Daggers, dedicated to overthrowing the government. New intelligence in their possession reveals that one of the Daggers' most dangerous agents is Mei, a beautiful blind dancing girl. The two men close in on Mei, and their triangulated relationship is a fraught drama of double-cross and triple-cross, and conceals a passionate, tragic love story. 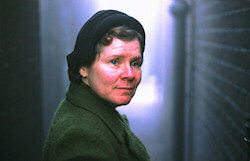 This engaging feature from Germany is part suspense thriller, part satire on lost 1960s ideals. Two anti-globalisation protesters hug a boyish secret to themselves. 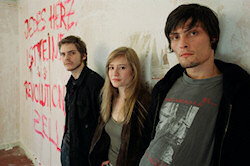 They have a hidden life as an anarcho-situationist duo calling themselves the Edukators. They break into big houses - not to steal anything - just to leave taunting messages and generally mess with the rich folks' heads. Then a beautiful woman comes between them; a job goes horribly wrong and they have to kidnap a glowering plutocrat who turns out to be a lapsed member of the radical vintage, and whose curdled idealism is a scary message from the future. 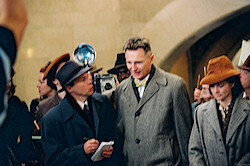 Der Untergang tells of the Nazi dictator Adolf Hitler's final days in a Berlin bunker during the closing days of World War II. 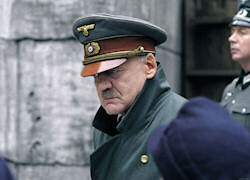 Hitler's demise and the fall of Berlin has been the subject of numerous films over the years, but here, finally, is a German filmmaker's take on that country's most cataclysmic event of the past 100 years. Matilde, a young Breton orphan is determined to discover whether her lover and childhood sweetheart, 19-year-old infantryman Manech, actually died after being sentenced to death for self-mutilation in 1917. This is a remarkably rich movie, full of detail which grips and entertains like a detective story while never losing sight of the horrors of war. Told in nostalgic flashback, a famous French conductor looks back from the present to 1949 when his life was transformed by a new teacher, ClÃ©ment Mathieu (GÃ©rard Jugnot), at a dreary state reform school in the Auvergne. Mathieu has a belief in the lads' potential that is not shared by his cynical colleagues or the director, a sadistic, unbending disciplinarian. His passion is music and gradually, and not without serious setbacks, he forms a choir, giving the boys a sense of hope, comradeship and beauty.